(April 8, 1936, 82 years ago): The Cameron Hospital on West High Street in Bryan opened for business. According to a 1936 Stryker Advance newspaper report, “Dr. Don Cameron, Fort Wayne and Angola surgeon, opened his new hospital at Bryan to the public last Sunday. This hospital, erected at a cost of $40,000, is of yellow brick, facing Garver Park, and is splendidlyequipped inside with 18 beds, examining, operating and X-ray rooms. Dr. Russel K. Ameter, who has been at Angola for a year and formerly was in Fort Wayne, will be the physician in charge. Dr. D.S. Burns will have charge of the X-ray work, and Miss Rose Johnson will be at the head of the nursing corps of six. Dr. Cameron erected the hospital without asking any donations from the community.” The hospital was expanded a number of times over the years. In 2009, the 1936 building was razed as part of a $62 million, 185,000-square-foot Community Hospitals and Wellness Centers site renovation and expansion project. 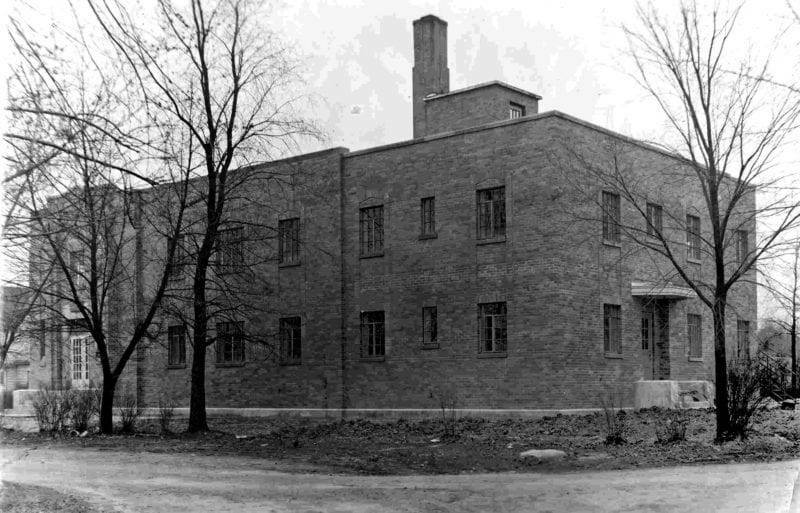 This vintage image of the 1936 Cameron hospital is from the Williams County Public Library’s Photographic Archives–Courtesy of the Williams County, Ohio, Local History Exchange. Be the first to comment on "(1936): Cameron Hospital Opens For Business (Bryan, Ohio)"